In the A.J. Drexel Nanomaterials Institute, diamonds are not just for jewelry and drill bits. According to Drexel University professor Yury Gogotsi and his team of researchers, diamonds — nanodiamonds, specifically — might just be the key to making certain types of batteries more energy efficient. 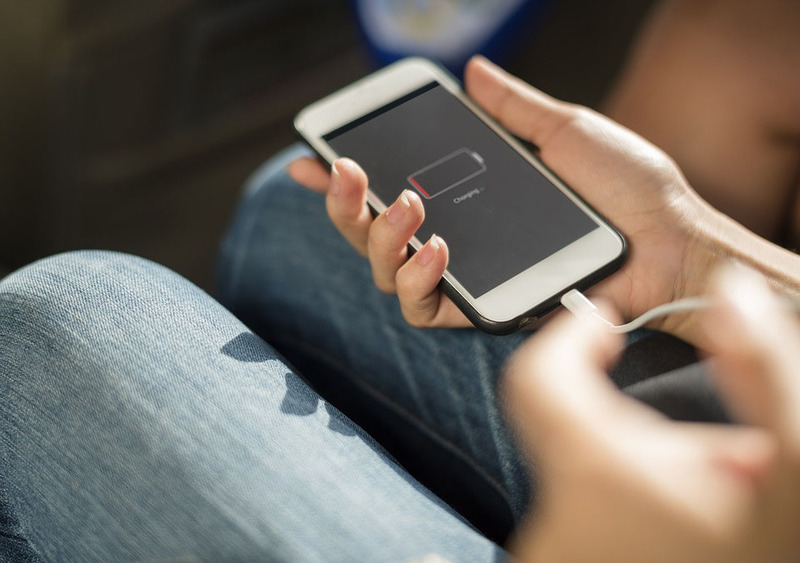 When a person thinks of rechargeable batteries, they are likely picturing lithium ion batteries, which power most portable devices such as cell phones and laptops. They generate energy by transferring ions of a lightweight metal called lithium back and forth between the two ends, or electrodes, of the battery. One of these electrodes is made of a carbon-based compound called graphite, which serves as a host for the lithium. The precursor to the lithium ion battery, however, was the regular lithium battery. Rather than just storing lithium in a graphite electrode, it has one electrode comprised of pure lithium. The difference? A pure lithium electrode allows much more lithium to be available in the battery. More lithium means more energy can be stored, making the regular lithium batteries much more efficient. Basically, they don’t charge any faster than the lithium ion battery, but they hold their power for a longer duration — meaning less recharges are needed in the same amount of usage time. The efficiency came at a cost. Ideally, the little pieces of lithium in a battery would spread out in an even pattern. But on the regular lithium battery, they occasionally got stuck on top of one another, causing them to stack up into thin, needle-like towers called dendrites. After enough recharging cycles, these dendrites can grow all the way from one side of the battery to the other, creating a connection between the electrodes. In other words, the battery short-circuits. “The result? You get sparks, you get fire, you get explosion. This is the end of your battery,” Gogotsi said. Because of the graphite host, dendrites don’t really form in lithium ion batteries. That’s part of the reason they’re the industry standard for rechargeable technology. But the lithium batteries, while unsafe, are able to store much more energy. Isn’t there a way to get the best of both battery worlds? Take the width of a human hair, and slice it into 10,000 pieces. Any of those pieces, visible only under a microscope, would be comparable in size to a nanodiamond. And since they’re not big enough to set on a gold ring(or even to see with the naked eye), they aren’t too pricey. Gogotsi estimates them to cost roughly $1 per gram — a reasonable expense for most lab budgets. Gogotsi and his team found that a solution of nanodiamonds, when added to a lithium battery, would serve as a sort of ordered template for the lithium. If the particles could slot into place evenly, as guided by the nanodiamond solution, they wouldn’t stack up and form dendrites. It would cut off the possibility of a short-circuit right at the source. The research team doesn’t want to just decrease the formation of dendrites in lithium batteries, but to eliminate them entirely. During the infamous cases of defective Samsung Galaxy Note 7 smartphones, Gogotsi notes, only 40 of millions actually short-circuited, causing them to catch fire and endanger their users. However, he says even that minute percentage was too great, as it still caused physical harm and stained the company’s reputation. “The challenge is to be sure that this process eliminates [dendrites] completely,” Gogotsi said. “Because if somewhere, you don’t have enough diamond, or it’s not uniformly distributed, or something else happens, there is probability [of dendrite formation]. Gogotsi likened his research with batteries to tending a garden. If one fails to spray their herbicide uniformly, missing certain spots while covering others, weeds will grow in the neglected soil. In Gogotsi’s battery experiments, the herbicide is the nanodiamond, and the dendrites are the weeds that grow if there isn’t enough of it. Only in a battery, there aren’t any landscapers who can stop by and uproot the dendrites — and just one is enough to take out the battery’s electrical garden. Though the Samsung phones did not short-circuit due to a dendrite issue, dendrite formation could lead to the same consequence. So, if Gogotsi’s team ever has a hand in putting lithium batteries back on the map as a rechargeable option, he wants the odds of dendrites (and dendrite-induced short-circuiting) to be essentially nil. Despite the potential energy benefit, Gogotsi says there’s a long way to go before their nanodiamond battery technology sees practical implementation, and it would likely be combined with other techniques to ensure the safest battery. The full article, which was published in “Nature Communications” Aug. 25, can be read here.